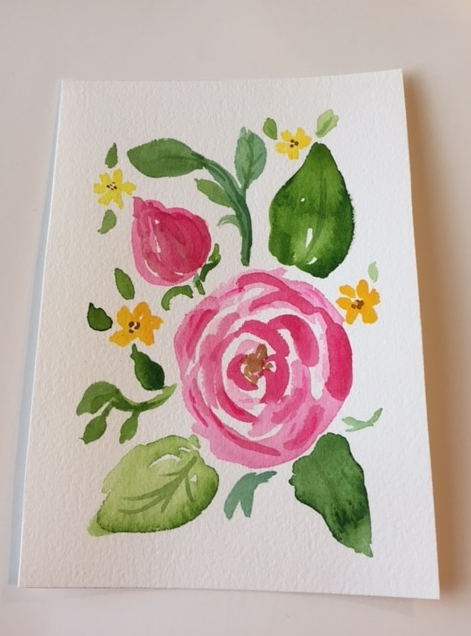 Paint quick and easy watercolor painting for beginners. People often ask how I can paint different subjects. 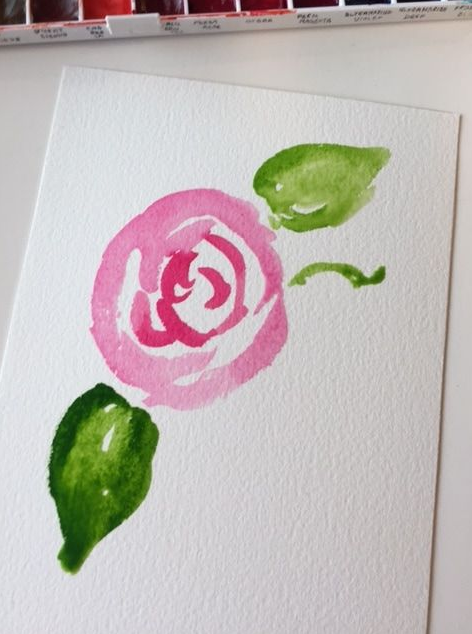 I'm a watercolourist and though I've used other media to create art, watercolour is my favourite. When I feel that I've come to the end of what painting with water and paint can do, I'll spend more time with other materials. 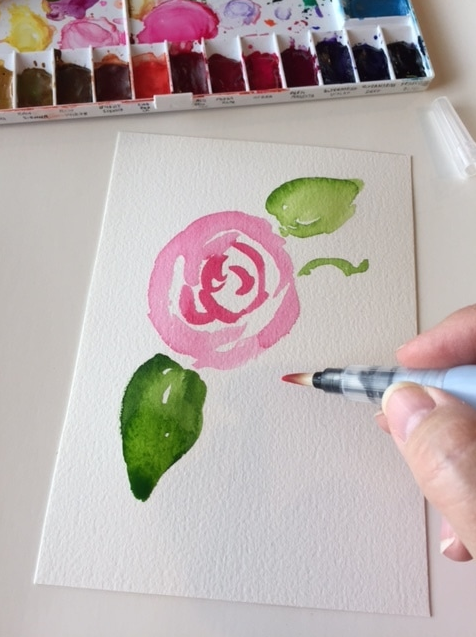 In the meantime, below are step-by-step instructions to create a small, framed floral watercolour painting. I've included links for the materials you'll need and can order online, or you can check them out and find them at a local art or craft store. ​I found this frame when I was cleaning out a box or stuff. 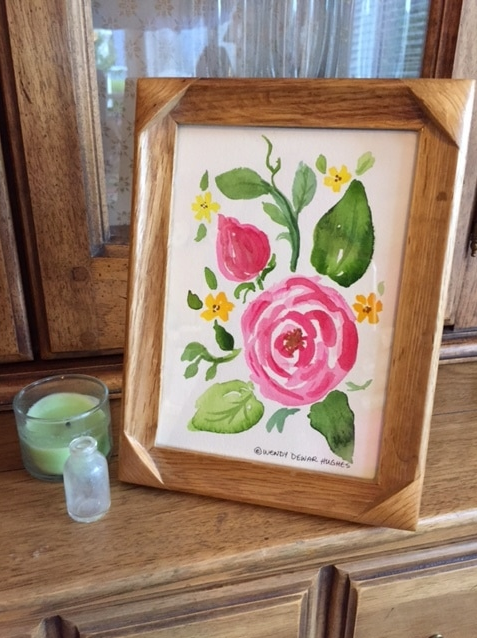 It's an oak frame with glass. 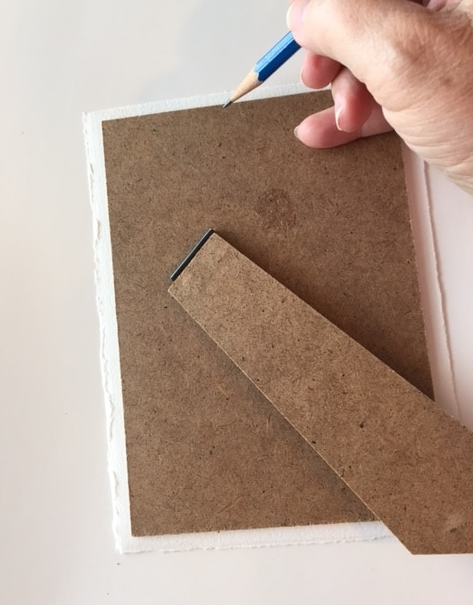 Using the back of the frame, trace around the edge with a pencil.​ ​You can cut it before your start painting, or after you've finished. 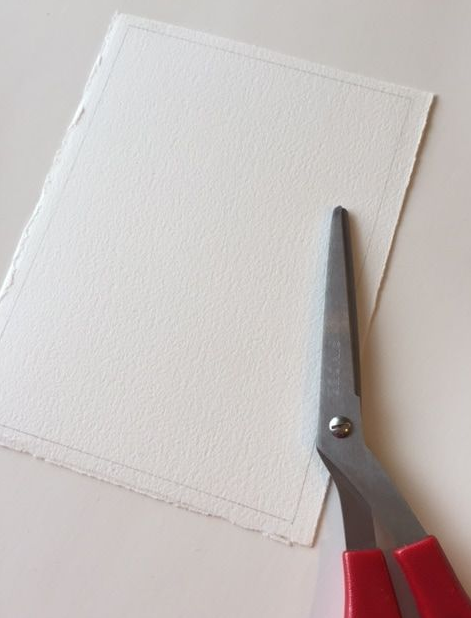 Save the trimmings for testing your colours before applying to the paper. 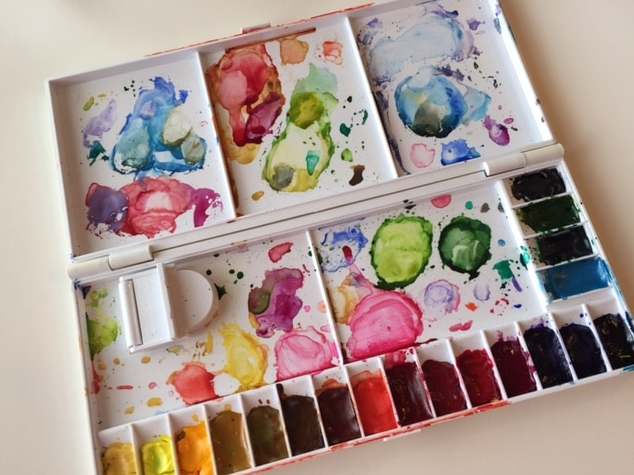 Watercolour paints come in a variety of styles including sets of tubes, tiny boxes that fit in your pocket, or larger sets. 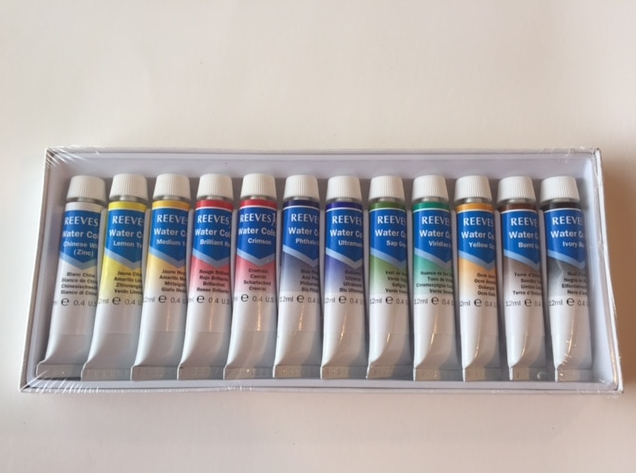 You can buy individual tubes of paint in colours you like and a separate tray, such as the one shown below. ​I prefer a palette that holds more colours and is easy and light to carry. Here is a good one I found. This is the palette I use for small projects. I have a larger one that I use when painting large works that require big wet washes of colour. One of my newer discoveries in the water brush, which is a brush with a water tank in the handle. It's wonderful for sketching and painting on location because you don't need to carry a pot of water. Water brushes come in different sizes so buy a set. Now let's start painting. 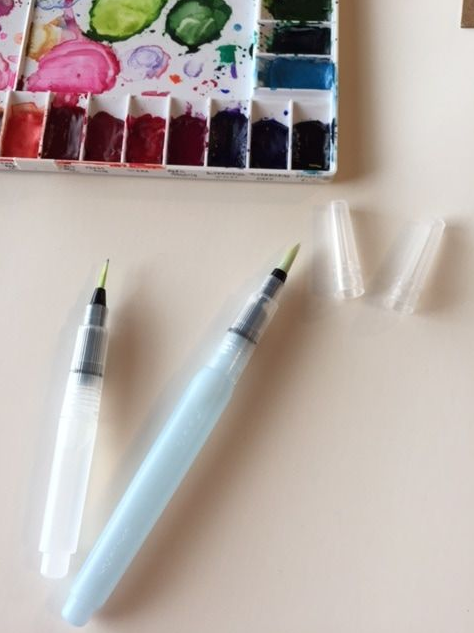 Using a colour of your choice, squeeze your water brush, or dip your paint brush into water and gather some paint. Paint a few irregular semi-circular swishes, as above. 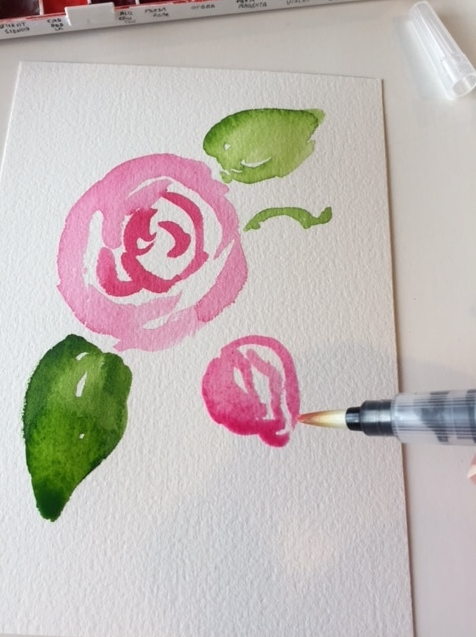 When you've finished with one colour, be sure to squeeze all the colour from your water brush onto a paper towel until the water runs clear, or rinse your paintbrush and wipe it to make sure all the paint is out of it before picking up your leaf colour. You can see what I mean in this photos. 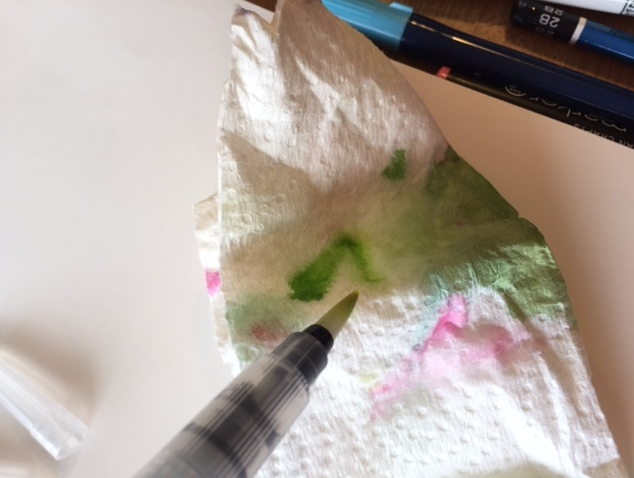 I keep a piece of paper towel or a clean rag handy for wiping my brushes. The trick here is to lay the colour down quickly and don't mess around with it. If you put wet colour into wet colour, or onto wet paper, it will perform differently than painting wet colour over dry colour. Try it on a paper scrap and you'll see what I mean. 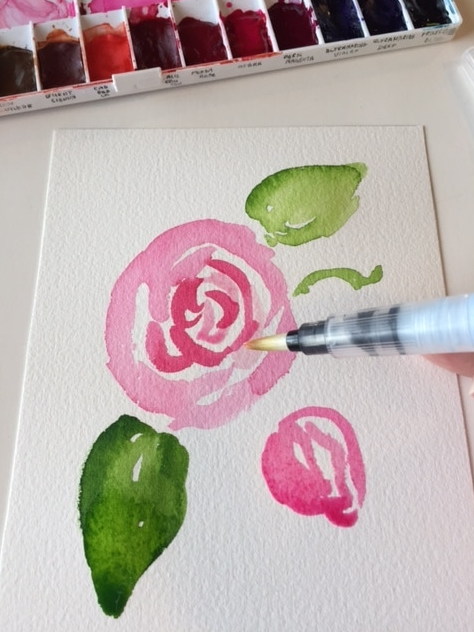 There is more to creating a painting than simply painting separate element, so watch how the composition of this little work emerges. 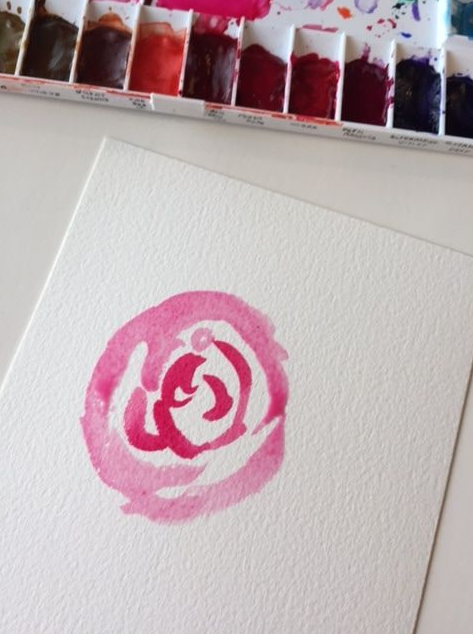 Add a rosebud, and more petals on your dry main rose. You can also add more leaves, twigs, and extra stems. I've added some little yellow flowers for variety, along with small leaves to complement them. Add a few lines of green with your small bush to show leaf veins, and accent stems. 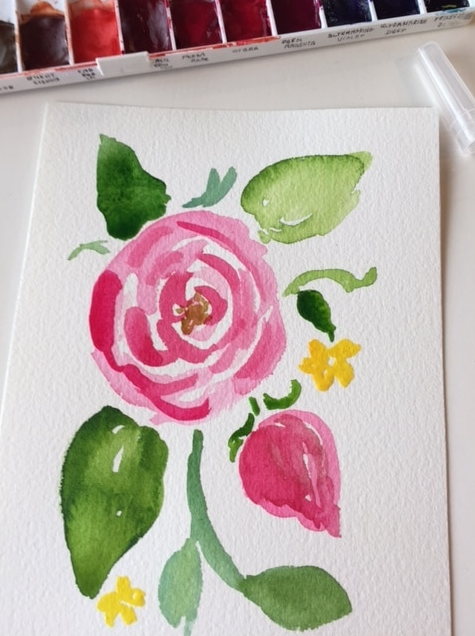 Then pick up some light brown paint and dot some centres into the main rose and the yellow blossoms, making sure they're dry first. 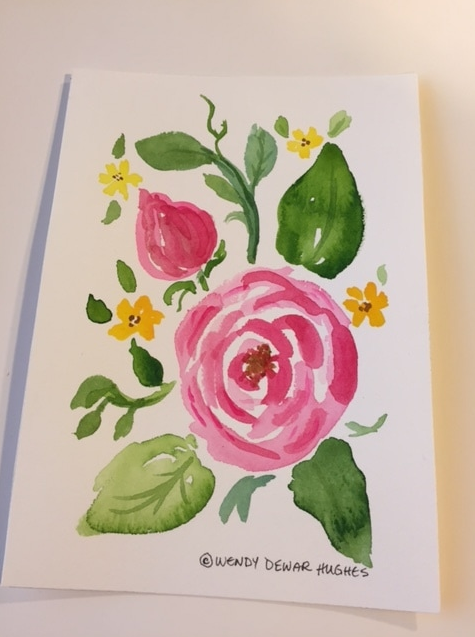 I decided that I like this better with the large rose at the bottom. Feel free to turn your painting different ways and see how you like the effect. I recommend standing your painting somewhere where you can see it and just look at it for a few days before adding any finishing touches. Resist the urge to fuss over the paint. Watercolours are meant to be fresh and clear, and painting over and over the same spots muddies them up. When you're happy with the result, don't forget to sign your work. 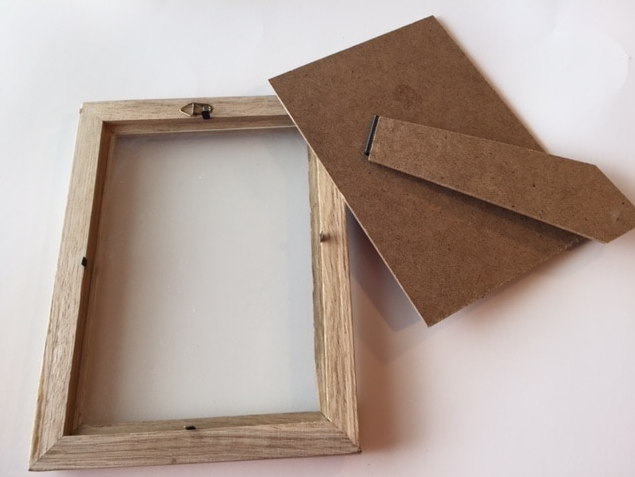 Make sure your paint is dry before placing the painting in the frame.